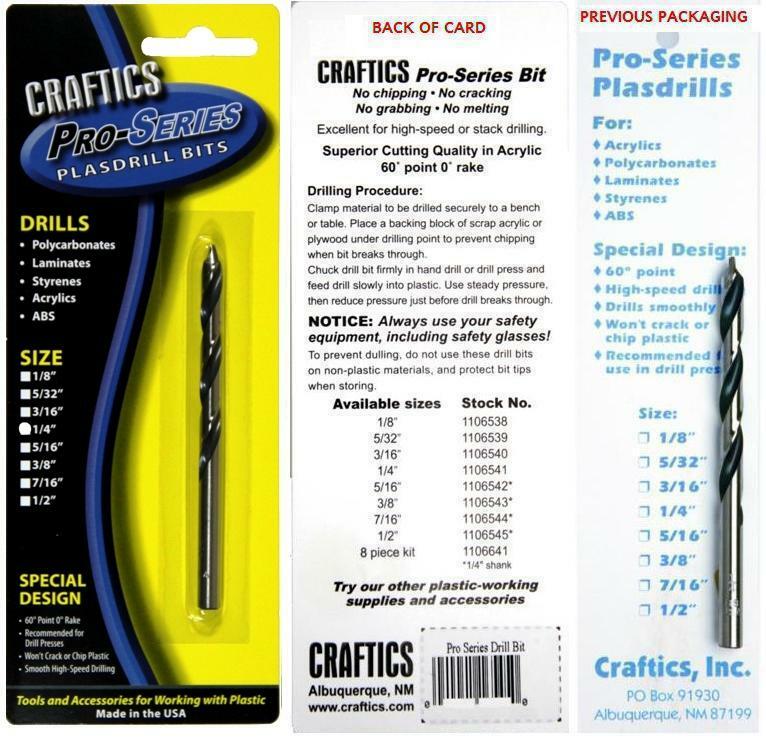 1/8" Pro Series Drill Bit An excellent bit for drill presses and stack drilling. 60° point, 0° rake. Also works in hand-drills. High speed steel. 5/32" Pro Series Drill Bit An excellent bit for drill presses and stack drilling. 60° point, 0° rake. Also works in hand-drills. High speed steel. 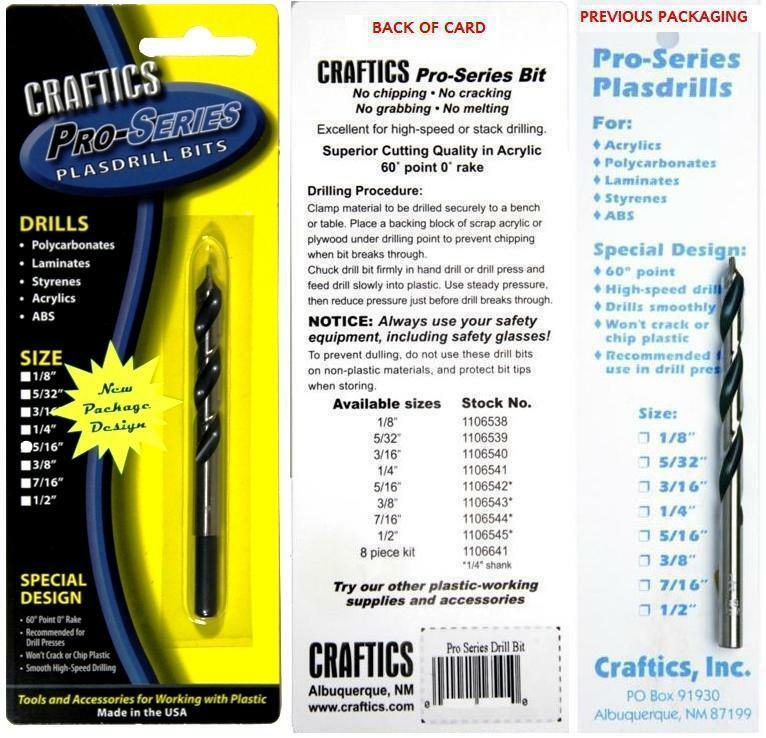 3/16" Pro Series Drill Bit An excellent bit for drill presses and stack drilling. 60° point, 0° rake. Also works in hand-drills. High speed steel. 1/4" Pro Series Drill Bit An excellent bit for drill presses and stack drilling. 60° point, 0° rake. Also works in hand-drills. High speed steel. 5/16" Pro Series Drill Bit (1/4" shank) An excellent bit for drill presses and stack drilling. 60° point, 0° rake. Also works in hand-drills. High speed steel. 3/8" Pro Series Drill Bit (1/4" Shank) An excellent bit for drill presses and stack drilling. 60° point, 0° rake. Also works in hand-drills. High speed steel. 7/16" Pro Series Drill Bit (1/4" Shank) An excellent bit for drill presses and stack drilling. 60° point, 0° rake. Also works in hand-drills. High speed steel. 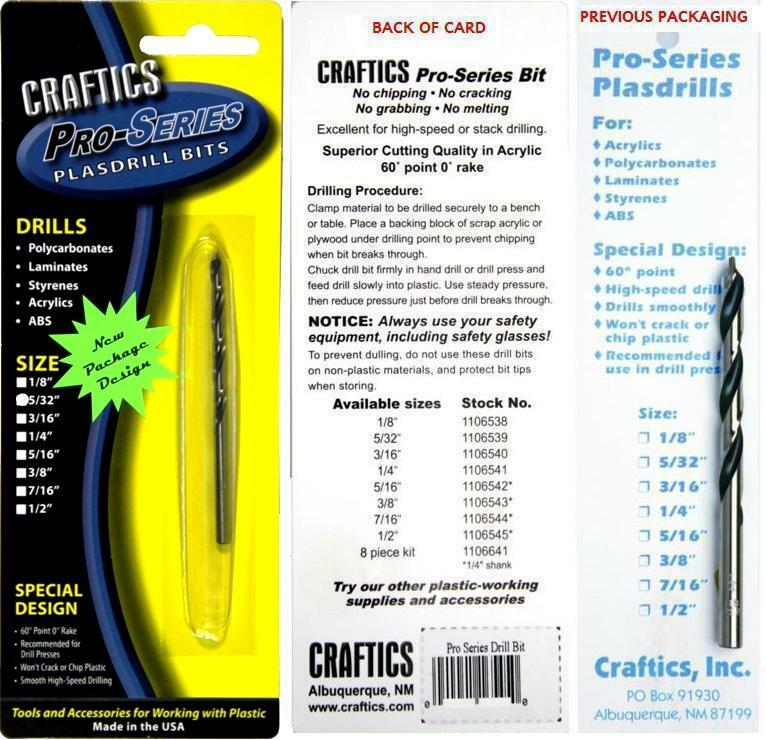 1/2" Pro Series Drill Bit (1/4" Shank) An excellent bit for drill presses and stack drilling. 60° point, 0° rake. Also works in hand-drills. High speed steel.